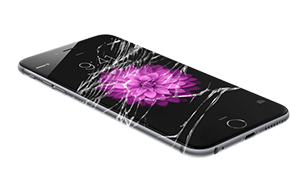 Our specialist team here at Phone World are able to repair all models of phones including the infamous iPhones. As we have many years of experience in the industry we are able to tailor our services to reach the high specifications of the iPhone models. The repair work and services that we offer are available for iPhone 6, 6s, 5s, 4, 4s, 5, 5C, iPod touch, iPod Nano and all generation iPads. By carrying out the repairs in 24 hours we are able to get your apple product back to you in good time so there is little disruption to your daily routines. We also only use apple guaranteed products so that you can be rest assured of the high quality services you deserve. Each service and new part comes with 6 months warranty on the off chance that there are any further faults. If you are wanting to get your iPhone repaired by us then call us on 07535 674 174 to book your phone in with our specialists. Your browser does not support the HTML5 canvas tag.